In last two decades, banking and finance industry has evolved technologically. Banks have deployed technology-intensive solutions in all areas of governance, operations, and control. With growing dependency of the banking and finance industry on technology, there has been a surge in the number of companies that provide specialized services and software for the industry. Many reputed and old companies have recently ventured in to the core banking software domain. There has also been a great increase in the number of new companies which exclusively cater to the banking software domain. If you are a banker, the good news for you is that you have unlimited software platforms options to choose from and depending on your need you can get customized solutions as well. The year 2016 has been an awesome year so far for the banking and finance as it witnessed the release and upgradation of several good core banking software. 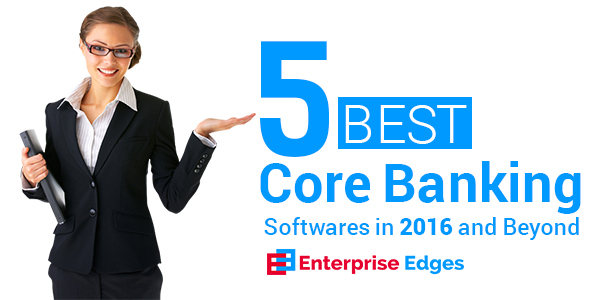 Let’s take a look at the top 5 core-banking software that managed to steal the limelight in 2016. 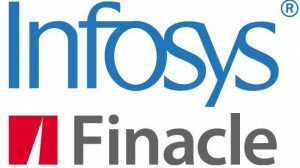 Finacle is a popular core bank software developed by Infosys, an Indian company which is a global leader in technology services and consulting. In August 2015, Finacle became part of EdgeVerve Systems Limited, a wholly-owned subsidiary of Infosys which develops innovative software products and offers them on premise or as cloud-hosted business platforms. Finacle is, currently, used by banks across 94 countries that have a cumulative customer base of about 848 million. Finacle is a comprehensive, integrated, multi-lingual, web-based modular software solution that addresses a number of banking-related technological requirements such as core-banking, online banking, mobile banking, payments, treasury, origination, liquidity management and wealth management. It also helps in customer relationship management (CRM) and business data analytics. Finacle has been identified by Forrester, an independent technology and market research company, as a long-term leader in the industry for providing comprehensive banking functionalities. Differentiated and unique customer experience. Increased productivity of frontline staff. Reduced processing time and data redundancy. Comprehensive view of customers across solutions. Quick adaptability to changing environment. Oracle Financial Services Software Limited, a subsidiary of Oracle Corporation, is another leading software solution provider in the banking and finance industry. The company’s offerings include customized solutions for retail banking, investment banking, corporate banking, cash management, trade, treasury, payments, private wealth management, asset management, and business analytics. Oracle Financial Services Software Limited has clients in 145 out of the total 196 countries in the world. Oracle FLEXCUBE, the flagship core-banking solution by the company, is a comprehensive, integrated, and modular solution that helps banks manage intense competition, reduced margins, and increased customer expectations by supporting agile and business processes management using Business Process Execution Language (BPEL), service-oriented architecture (SOA), and a Web services-based model. A highly customizable solution, Oracle FLEXCUBE also enables integration of their-party solutions. Polaris Consulting & Services (Polaris), now known as VirtusaPolaris after its merger with Virtusa Corporation, is another India-based leading technology player in the banking and financial services industry. In its 25 years of existence, Polaris has seen the transformation of the technological landscape of the banking and finance industry. One of Polaris’ earliest project was the implementation of the end-to-end Retail banking solution for CitiBank India. Since then, Polaris has come a long way. Polaris’ Intellect Core Banking Solution is a widely popular core-banking solution used by several private and public banks across the world. Polaris Intellect Core Banking Solution ranks high on customer centricity and operational flexibility. Fiserv is a leading financial services technology company with approximately 13,000 clients worldwide. It has been popular in the banking and finance industry because of its award-winning solutions for mobile and online banking, payments, risk management, data analytics and core account processing. With core- banking solutions Cleartouch®, DNATM, Precision®, Premier® and Signature® — Fiserv can offer a suite of solutions to meet the needs of small or big, domestic or international banks. With easy to use solutions and user-friendly interface, Fiserv is quite a hit in the banking domain. It’s mature service-oriented architecture (SOA) makes it easy for the customers to integrate the Fiserv product portfolio and third-party systems to create a customized solution exclusively for their needs. Intuitive, effective tools that increase employee satisfaction. IDEALINVENT is a leading Indian technology products and solutions company with a focus on the consumer financial services sector. Established in 2005, IDEALINVENT has emerged as a leader in the domain in a very short span of time. ConnectCoreTM is a popular core-banking software developed by IDEALINVENT. It allows the clients to choose their own infrastructure platform and work with licensed as well as open source application servers, databases and browsers. ConnectCoreTM allows customization all the way to the database object level. The unique selling point for ConnectCore™ has been its ability to extend beyond making the business offerings accessible to the back office system, and arranging them on all servicing channels in a user-friendly manner. Any newly created business offerings can also be seamlessly provided to the client already using the software by integrated channel solutions through their published API catalogues. Complete customization of the interface for bank-specific workflows, processes and user profiles. Single intuitive user interface that makes work process simpler and shorter. Comprehensive view of the customers across all touch points. Apart from the 5 core-banking software mentioned above, the other 5 core-banking software that managed to set a name for themselves in the banking and finance industry in 2016 so far are TCS Bancs from TCS Financial Solutions, T24 core banking system from Temenos, Avaloq Banking Suite from Avaloq, Core-banking solutions from FIS and Silverlake Axis Integrated Banking Solution from Silverlake Axis.